It's flat out here at Nationwide!! It's flat out here at Nationwide with over 1.5 million pounds worth of additional work secured this month alone. More vehicles have been ordered to keep the team moving! 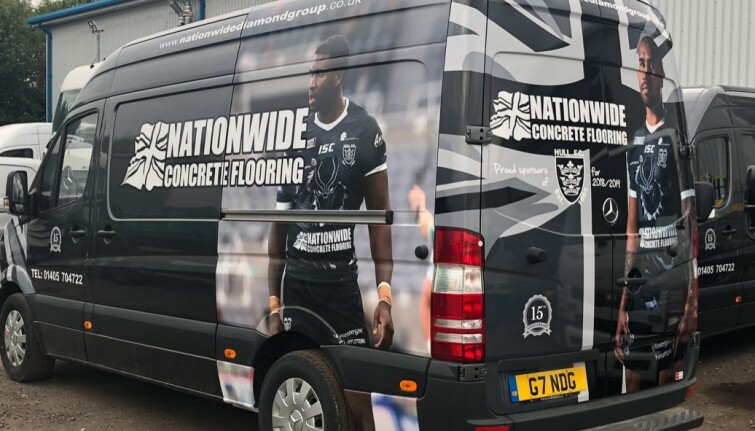 Here again in line with our affiliation celebrating our 15 year anniversary with Hull FC two new top of the range Mercedes Sprinters are all set to go! For all your industrial concrete flooring, sub base levelling, concrete floor renovations and concrete floor repairs contact us on 01405 704722 for a free initial quotation by a trusted and established concrete flooring contractor.